Paint your palette blue and gray as Sip & Gogh Kapitolyo unleashes the painter in you. 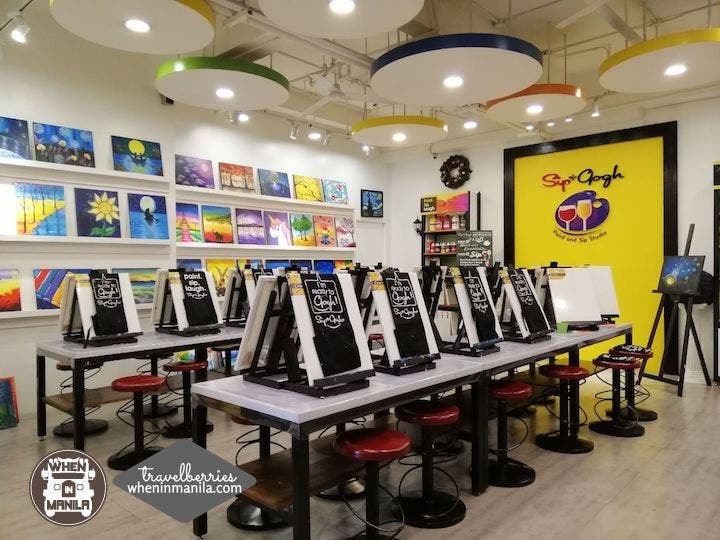 Gerald Agustin, owner of Sip & Gogh Kapitolyo, says that it is meant to be a place to spend quality time and bond with your family and friends. 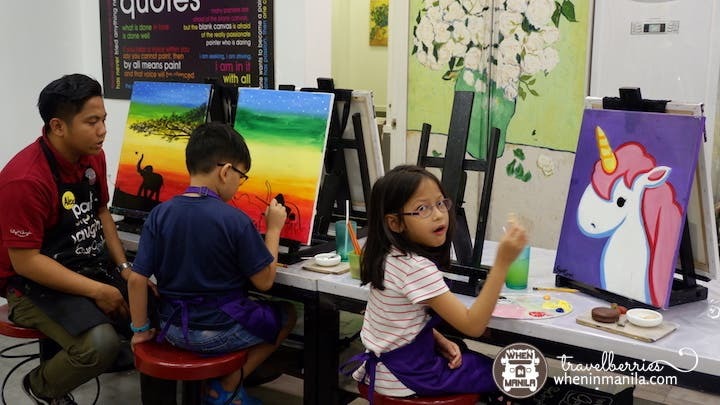 The place is built for people who have always wanted to explore their artistic side to share an experience and try painting for the first time. 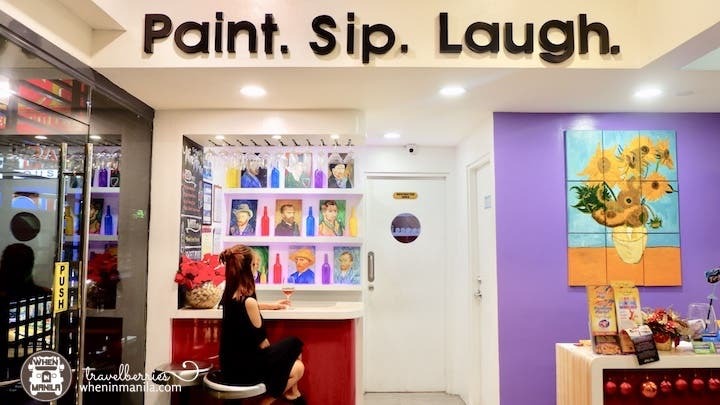 Paint and sip studios are starting to gain popularity in some parts of the world. Sip & Gogh that started sometime in 2012 when a group of friends that loves traveling and likes to explore different cultures realized they share the same fascination with good wine and art. As such, they decided to go with a paint-and-sip studio. Their studio is thus named to give appreciation to Vincent van Gogh: his artworks, the life he lived, and how he loved. 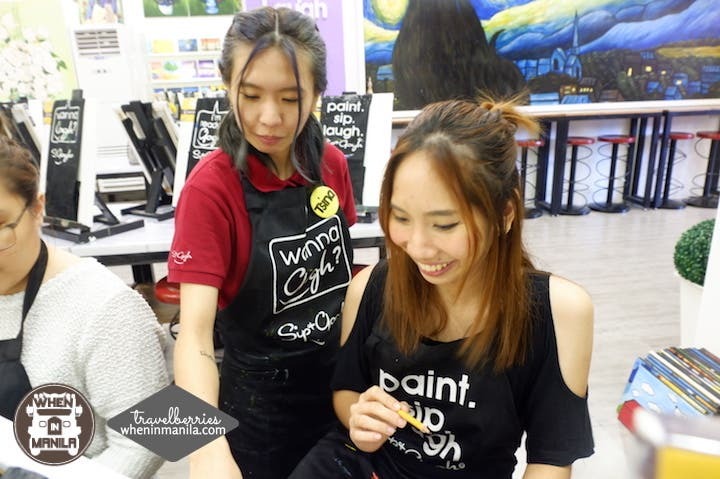 To join their painting classes, you can book your appointment on their website or over the phone (contacts below), or simply walk into the studio. They have different branches at Ayala Heights, Eastwood, Kapitolyo, Alabang, Atelier, Century Mall, and The Podium. 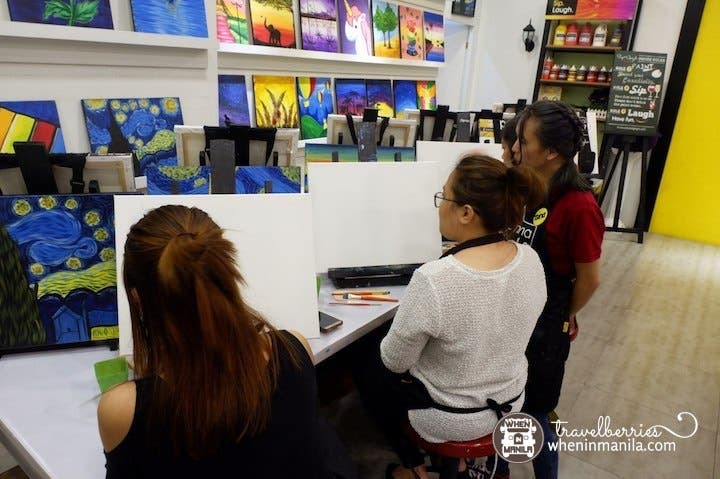 A regular painting session costs Php1,000, and you can choose your day and timeslot based on the artwork that you want to learn. Most of the artworks’ style are impressionist and expressionist. You can also opt for an open session where you can pick any artwork in the studio that you want to paint. We selected the branch of Kapitolyo and opted for the open session. Upon entering Sip & Gogh Kapitolyo, you will be greeted by the painting instructors. If you opted for the open session, you can then pick the artwork that you want to paint. You will be provided with the following: a 16×20 canvaws, an easel, acrylic paint, brushes, palettes, and an apron. The regular painting session comes with a glass of wine, fruits/cold cuts, and cheeses. You choose a wine from the varieties of red, white and pink. 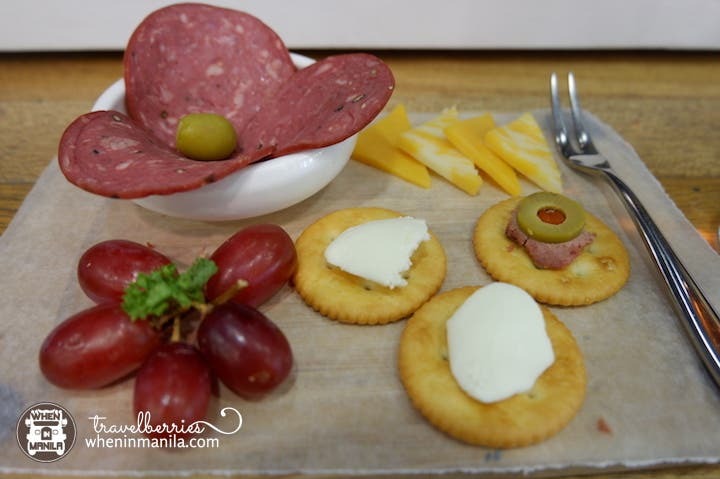 For the snacks, you can pick either Fruit and Cheese Plate or Cheese and Salami Plate. 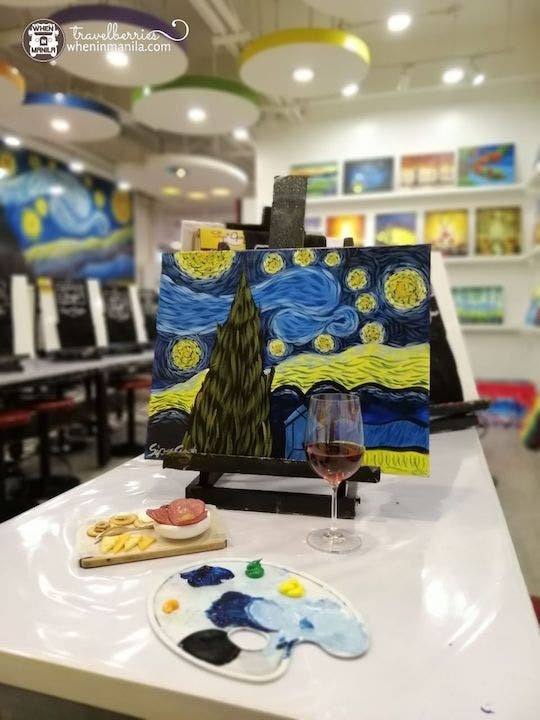 ALSO READ: Paint your own Starry, Starry Night at Sip & Gogh. You say to yourself that you’re no artist. 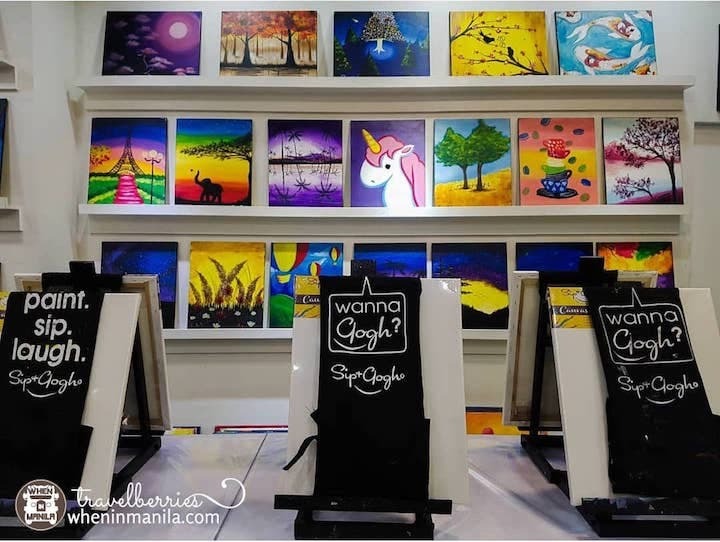 Paint instructors at Sip & Gogh Kapitolyo are very encouraging they could negate your idea that you could not paint. They would teach you all the basics in painting. How to mix the right amount of paint to get the right shade, how to hold the brush and palette and the right brushstrokes. And they also say the right words when you think of giving up on your own work. Some serious self-doubts would sink in if you made one stroke wrong or if you are halfway and still, could not see the art in your work. 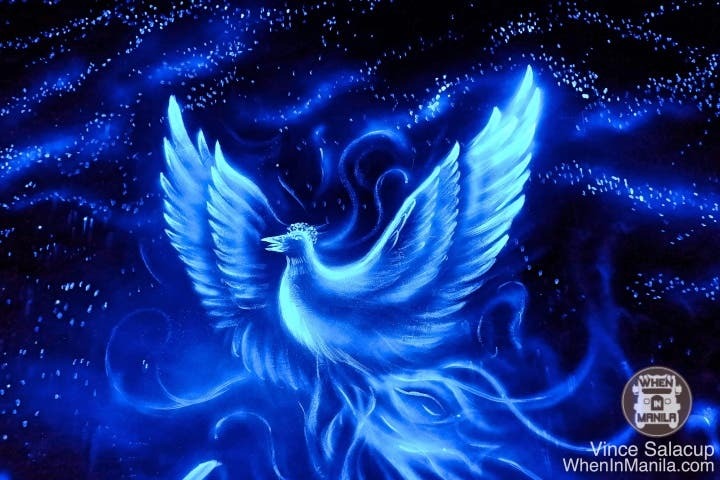 They are there to affirm you that it would still come out beautiful because it is your art, your expression. Sip & Gogh being a great venue to host kid’s birthday parties, family reunions and/or anniversaries. This is also perfect for bridal showers, bachelorette parties, baby showers or anniversary parties. Guests who avail of painting parties on site can use the studio exclusively for 3 hours. Aside from the painting session, they can also bring in food and drinks free of charge, inclusive of plates, utensils, glasses, and serving platters if needed. They also specialize in team building events on site (at the studio) and offsite (at your preferred venue). Celebrate Your Christmas and New Year at Sofitel!